Hard covered book. Hand written inscription to my mother by Manley Miner; dated Jan. 12, 1983. Thank you for your request. Please add more detailed and focused images. Thank you. Thank you for the images and your patience. 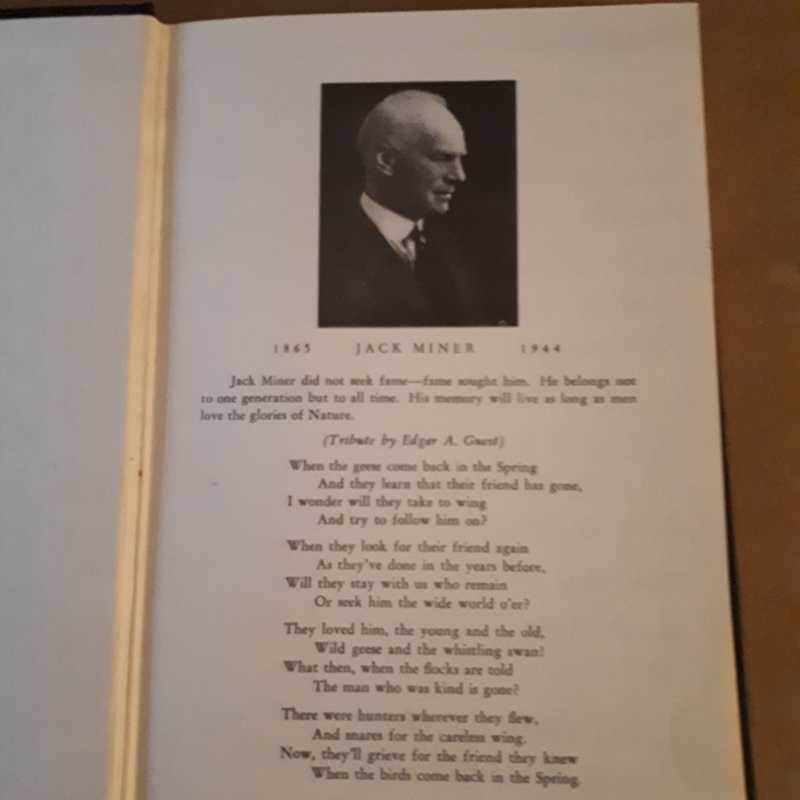 this is a hard covered edition of the book by the author Jack Miner with the title Jack Miner And The Birds. On the first page, we find a dedication by Manley Miner dated 12.1.1983. An estimation would be between 10 to 20 USD.